Happy Darwin Day! « Nothing in Biology Makes Sense! 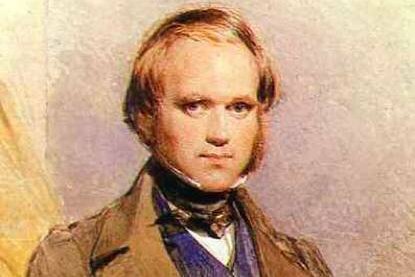 Charles Darwin, who first proposed that natural selection could be responsible for “descent with modification,” the observation (which predates Darwin) that living species change over time and give rise to new species, was born on this day in 1809. By all accounts, Darwin was a geek’s geek—uncomfortable in high-pressure social situations and devoted to the fiddly details of his scientific work. But he also seems to have been a quietly friendly chap, keeping up a tremendous volume of correspondence with other scientists all over the world, and, most charmingly, bringing his children into the fun of puzzle-solving that lies at the heart of science. This entry was posted in Darwin, natural selection and tagged Darwin Day, history.